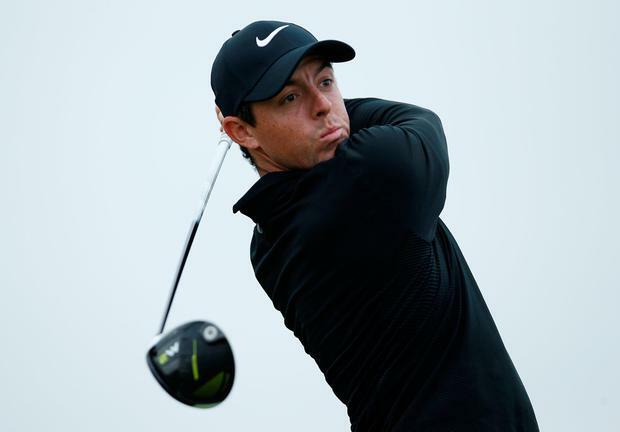 On a trip to Boston last September, John Farren managed to get a quick chat with Rory McIlroy during his victory surge in the Deutsche Bank Championship. The upshot was pledged support for Ballyliffin's bid for next year's Dubai Duty Free Irish Open. McIlroy can make things happen at the highest level, as Paul McGinley discovered when seeking the Ryder Cup captaincy for Gleneagles. And his status as the most influential figure in Irish golf will be evident when the Donegal venue's aspirations are confirmed at Portstewart today. "You know it's not official yet, but we've made a significant bid," said the Ballyliffin manager yesterday. Which would indicate that a venue fee is involved, as was the case last year when The K Club were reported to have paid €500,000 for the privilege of staging the blue riband of Irish golf. "Being situated so close to the border, we're probably 20 years behind Ireland's south-west in terms of marketing and tourism development," Farren went on. "This is a golden opportunity to put the north-west region on the map as a golf destination." In 2009, I travelled to Ballyliffin for the inaugural Great North Links Challenge, organised by the club in conjunction with Portstewart and Royal Portrush. On that occasion, Farren's determination to promote the area against the background of a world recession spoke volumes for progressive thinking. "Against the background of the Irish Open at Portrush in 2012, Portstewart this year and The Open coming to Portrush in 2019, the focus of attracting international golf tourists to this island is clearly changing," he said. "We had our barren years because of the Troubles in the North, but hopefully, they're now behind us. "Obviously Brexit is a concern, but I'm confident that both governments realise how much of a setback a hard border would be. Realistically, the border doesn't exist for us commercially. It's seamless, to all intents and purposes. And we would expect to get the bulk of our Irish Open spectators from the North, starting with Derry city, which has a population of 150,000." The Glashedy links has been beefed up appreciably since Andrew Coltart set a professional record of 66 in the North West of Ireland Open in 2002. Only last winter, 200 yards was added to the front nine under the guidance of designer Pat Ruddy. It means that the overall length is up from 7,220 to 7,423 yards. New bunkers have been installed on the first and third holes; there's a new back tee on the par-five fourth, extending it to 587 yards off an elevated tee; and there are also new championship tees on the second and ninth. "From being just another four days on the European calendar, the Irish Open has become a world event," said Farren. "And Rory has made it clear he'd be delighted to see us stage it. He has played Glashedy many, many times, from appearances in our Scratch Cup to the Interprovincial Championship in 2006, when Shane Lowry also competed. "When we staged the Boys Home Internationals last year, the R&A told us they considered the course good enough to stage an Open Championship. That's how good it is." Farren concluded: "This is something I've been working on for about 10 years, constantly in Rory's ear. I've also got the support of Padraig Harrington and, in particular, Graeme McDowell. Graeme's heart and soul is in this area." Ballyliffin, on the Great Atlantic Way, is an hour and 15 minutes' drive from Portstewart, via Coleraine, Limavady, Derry, on through Muff and Carndonagh, deep into the Inishowen Peninsula.